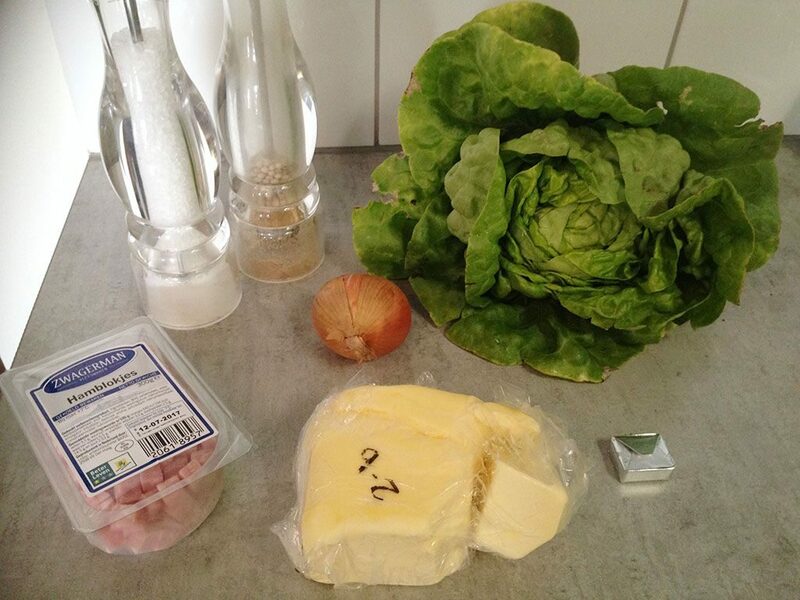 Old fashioned braised lettuce, a classic Dutch recipe. Definitely worth a try! 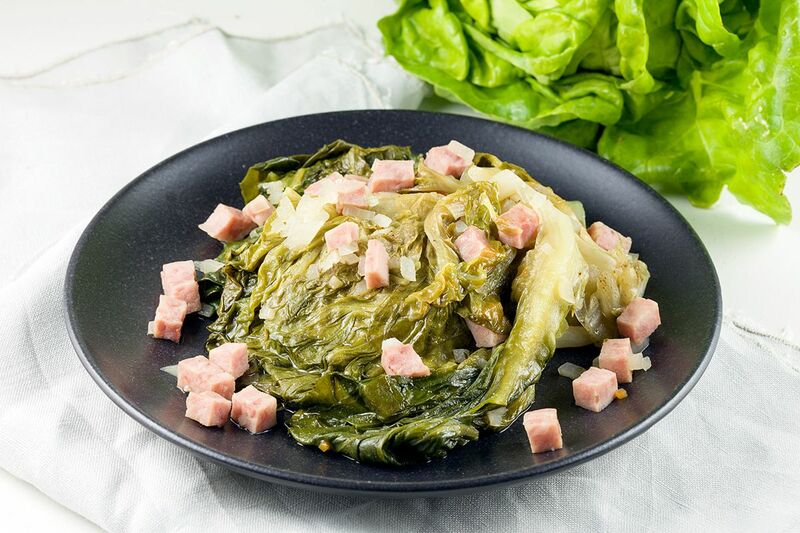 Lettuce braised in butter with onion and cooked ham, so good! PEEL and finely chop the onion. RINSE the lettuce very well with running cold water. 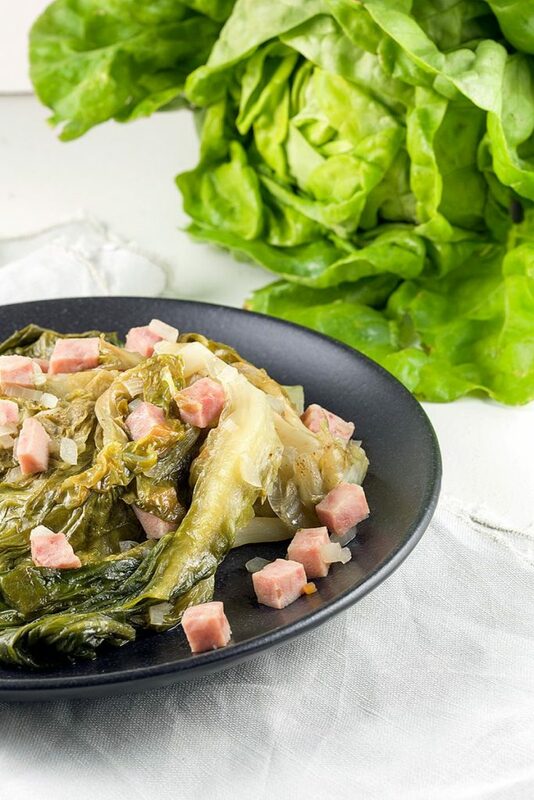 REMOVE any damaged outer leaves from the lettuce. PUT the lettuce upside down so the excess water will drain. DIVIDE the lettuce in halves and let the core attached so it won’t fall apart. HEAT a knob of butter in the large pan and sauté the onion for a few minutes. ADD the lettuces halves, cut side down. 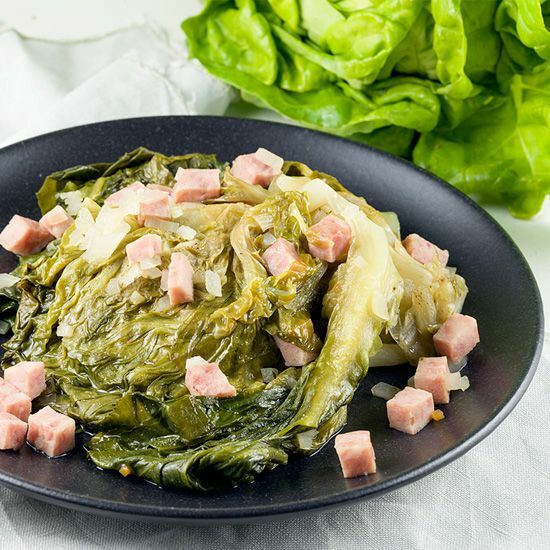 POUR in the vegetable stock and the cubes of ham and place the lid on. Let the lettuce cook on low heat for about half an hour. Most of the vegetable stock should be evaporated by now. SEASON with pepper and salt and SERVE with slow-braised beef if you like. Enjoy! Cook for 30 minutes?? Is that needed? Yes, but cook it on a low heat.